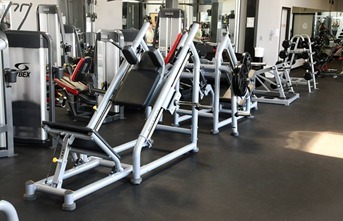 One on one training session with a certified personal trainer: $35.00 for 1hr sessions. $20.00 for ½ hr sessions. 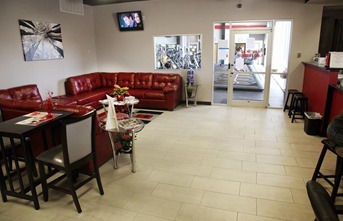 With over 27,000 square feet…you’ll find something at PFA that suits your fitness needs. Just because we need a break now and then, doesn’t mean you should have to wait. We offer secure and safe 24 hour access to help you reach those fitness goals. We know that with today’s hectic schedules that there is no one time that is perfect for everyone, so that’s why the club is available all the time. It’s all about the interplay of our electronic ballasts with special phosphors and gas blend in our SmartLamps. Together, they do what no other tanning system can do: give both and immediate tan and a persistent tan. 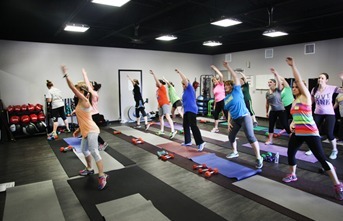 Yoga, Spin, Dance, Boot Camps, HIT, Body Sculpting, Kick Boxing, and Swim are just some of the group classes offered at PFA. Click here to visit our group exercise page and find out what class and time suits you best. A safely supervised enviornment to leave your little one while you workout. The struggles of parent life, often make it difficult for mom or dad to get in the shape they need to be in to even raise children. PFA recognizes that and offers the Kids Klub! Ask the Member Services desk for times and availability. 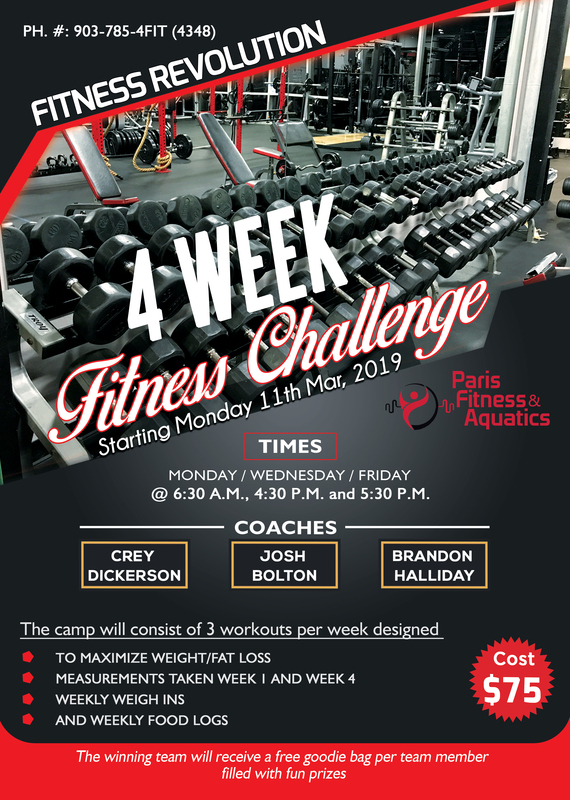 We couldn’t call it Paris Fitness and Aquatics…..unless there were a pool. 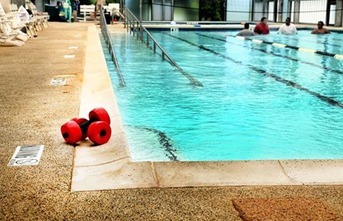 PFA has two pools for both exercise and rehabilitation. Visit with the member services desk to learn about available hours. After a great workout enjoy a smoothie, and free wifi in our PFA Lounge. Browse our pro shop for supplements and workout gear. See? It’s not a gym….it’s a club! 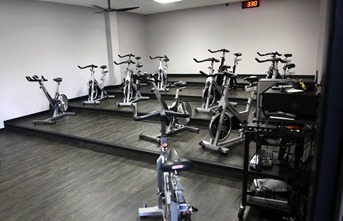 PFA’s spin classes are held in the most up to date facility in North Texas. You would expect to find this type of layout in a large metropolitan area, but it’s right here in Paris Texas. A fresh, modern facility should only have the best and technologically advanced equipment, and PFA does. From the tons of free weights, to the amazing rowing machines, you are going to get the type of workout our members deserve. All of our treadmills have personal TVs, so it’s like home! Except no sofa, and you look great! A fresh, modern facility should only have the best and technologically advanced equipment, and PFA does. 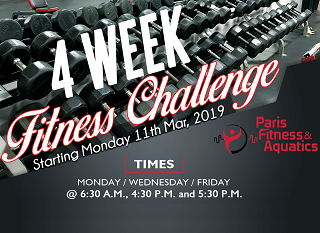 With some of the best fitness instructors in the area, Paris Fitness and Aquatics offers a variety of classes. Our personal trainers are readily available to take your fitness goals to the next level.